MUMBAI: When it comes to pure cricketing entertainment, the ongoing Indian Premier League (IPL) never disappoints. The first three weeks of this tournament have been breathless, both on field and off field i.e on social media. Fans of the tournament have not only been present at the stadiums but also on micro blogging site, Twitter. 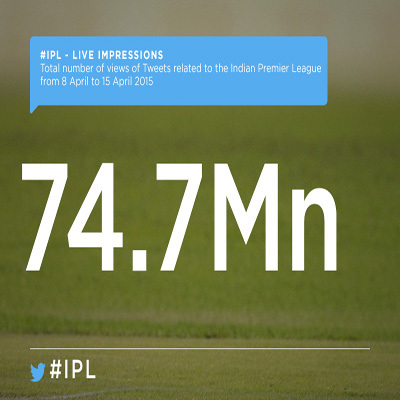 During the live match windows, 180.4 million live impressions were registered on Twitter for the matches held between 8 to 29 April 2015. 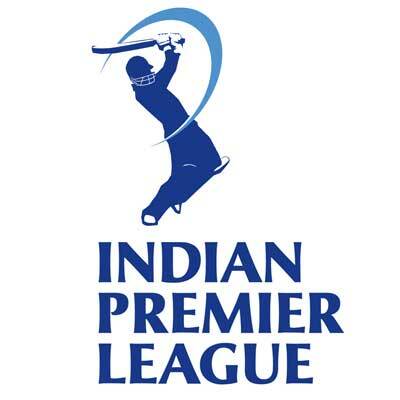 MUMBAI: The eighth edition of the on-going Indian Premier League (IPL) 2015 tournament has seen a 27 per cent jump in viewership from last year according to viewership measurement body TAM. Moreover, the Kolkata Knight Riders (KKR) match versus Royal Challengers Bangalore (RCB) on 11 May, 2015 is the most watched match so far with 5.3 per cent TVR followed by Chennai Super Kings (CSK) vs Mumbai Indians (MI) bout on 17 May, 2015. MUMBAI: A total of 52 brands from 28 categories have garnished the commercial breaks between overs and fall of wickets so far in the Pepsi Indian Premier League (IPL) season 8. 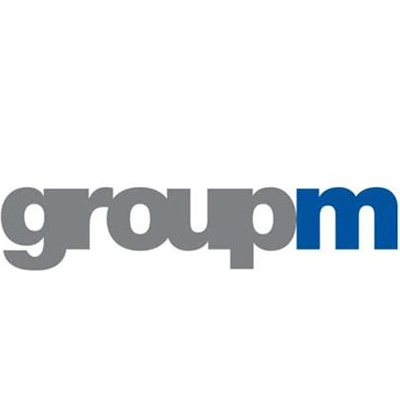 Amongst all the categories, Internet services and B2C categories topped the chart with 29 per cent share of ad volume. It must be noted that e-commerce ventures like Amazon, PayTm also fell under the same category. Amazon upgraded itself as a presenting sponsor of the flagship franchisee cricket tournament. MUMBAI: PepsiCo is known for its innovations when it comes to television commercials, from Yeh Hai Youngistan Meri Jaan to the Cricket VS Football ad, featuring football legends like Frank Lampard, Fernendo Torres, Didier Drogba and Indian youngsters Suresh Raina, MS Dhoni, Virat Kohli and Harbhajan Singh. MUMBAI: With 74.7 million live impressions during the opening eight days of the eighth season of the Indian Premier League (IPL), Twitter is abuzz with excitement. While defending champs Kolkata Knight Riders (KKR) have had a stop-start beginning, the Rajasthan Royals (RR) rushed out of the gates and the Indian captain led Chennai Super Kings (CSK) continued to be crowd favourites as there was hardly any surprise on their first match versus Delhi Daredevils (DD) being the most talked about game on Twitter between 8 - 15 April, 2015. 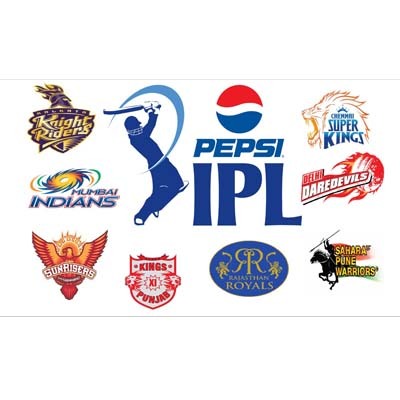 MUMBAI: As the Indian Premier League (IPL) gathers full speed, American Appraisal has released a concise report called “On a sticky wicket” on the brand values in IPL. MUMBAI: From being a country that thrived on a single sport namely cricket, India has come a long way in the last couple of years. The country witnessed a sports boom of sorts with the mushrooming of various sports leagues. And with that came in the moolah in terms of sponsorships and advertisements. 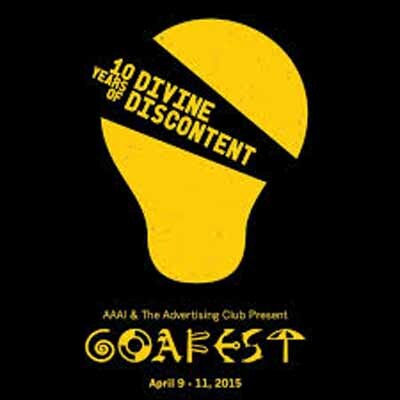 MUMBAI: The challenge was to seize the opportunity and uncork the creative genius in you. 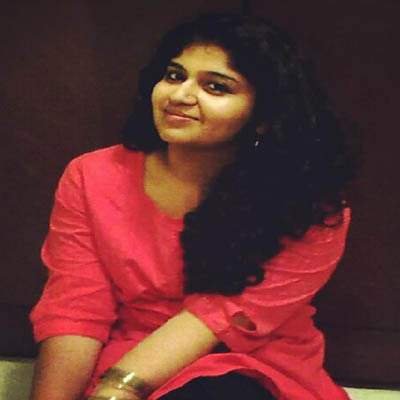 Nikita Deshpande, a budding film-maker from Mumbai, has done just that and has emerged as the first winner of Crash the Pepsi IPL campaign. MUMBAI: Continuing from their partnerships in 2013 and 2014, the Indian Premier League (IPL) and Twitter have come together for the eighth season to bring new products and experiences to enhance the cricket viewing experience for fans around the world. Cricket enthusiasts and IPL aficionados, who are online or offline, watching on any type of device or screen, those on the Twitter mobile app, desktop web to SMS will all be able to participate in the festival this year. GOA: While delivering a keynote at the Goafest, PepsiCo India CEO D Shivakumar pointed out that technology is taking a toll and becoming a priority, which in turn is leading to negligence of a brand’s strategy. “Nowadays, we see ads put up on platform at a certain point of time, which have no relevance with the strategy of the brand. We are just getting carried away by the tactics and suppressing the strategy,” said Shivakumar.